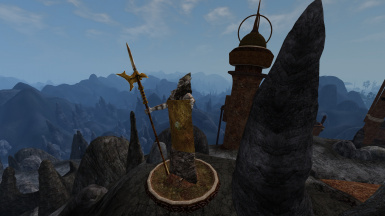 Improves the look of Dwemer Statues. 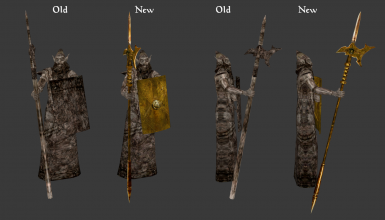 This mod improves the look of Dwemer Statues found in the exteriors of many dwemer ruins (11 total in the unmodded game). The body of the statue is smoothed a little and its stone halberd/shield are replaced with more detailed metal ones. Standalone models of halberd and shield are available here. 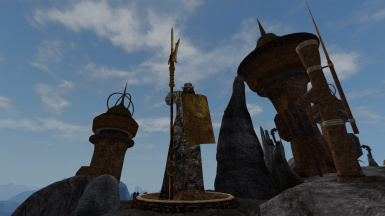 Set in Stone by Aeven - for improved dwemer statue texture.